King Khazm has been a formative force in the Seattle Hip Hop scene for years, and his momentum as an artist, activist, educator, promoter and community leader has only grown since he co-founded MAD Krew in 1995, a Hip Hop crew that quickly evolved into an influential multimedia production company. MAD Krew’s release of the Hip Hop documentary video, ‚”Enter the Madness”‚ in 1998, helped exposed Pacific Northwest Hip Hop to a national view, a scene the crew was pivotal in cultivating through the organization and production of many hip hop shows and events. One of these, that has since grown to be among the most anticipated emcee competitions, are the Brainstorm Emcee Battles. Khazm is the producer and co-founder of Hip Hop 101, a live weekly television show for emerging Hip Hop artists to showcase their skills, which is broadcasted on regional cable and on the internet. In addition to this, Khazm co-hosts Zulu Radio, a weekly broadcast on KBCS 91.3 fm, dedicated to diversifying the Seattle airwaves with new school, old school, independent, and local Hip Hop. As an artist, Khazm’s contributions to the culture have been significant as well. Since he began emceeing in the mid 90’s and started producing music, he has released various material on CD and vinyl as a solo artist; with groups Cyphalliance, Abyssinian Creole and others on a number of compilations and projects. He has shared the stage with Afrika Bambaataa, Gza/Genius, Abstract Rude, Aceyalone, Grandmaster Caz, Naughty By Nature, and other Hip Hop legends throughout the country. His breadth and skill as a visual artist fueled his work in graphic design, and his art installations have been featured in various locations such as Consolidated Art Works and the Experience Music Project Museum in Seattle. It was Khazm’s commitment and dedication to Hip Hop culture, paired with his desire to establish and spread a deeper understanding of Hip Hop’s roots, which set the context for his work with Universal Zulu Nation. After receiving recognition for his contributions to the culture from Afrika Bambaataa and the Supreme World Council of the UZN, along with overwhelming community support on the local level, he founded 206 Zulu ‚a UZN Seattle Chapter in 2004. Khazm’s current pursuits in Hip Hop activism, his participation in the curriculum development and delivery of Hip Hop classes, workshops, panel discussions, and other educational-oriented activities centered on youth empowerment, has led him to a more comprehensive perspective of Hip Hop in the global age and its role in society, and recently has recieved an award for Community Leadership from Seattle Mayor Nickles in 2006. 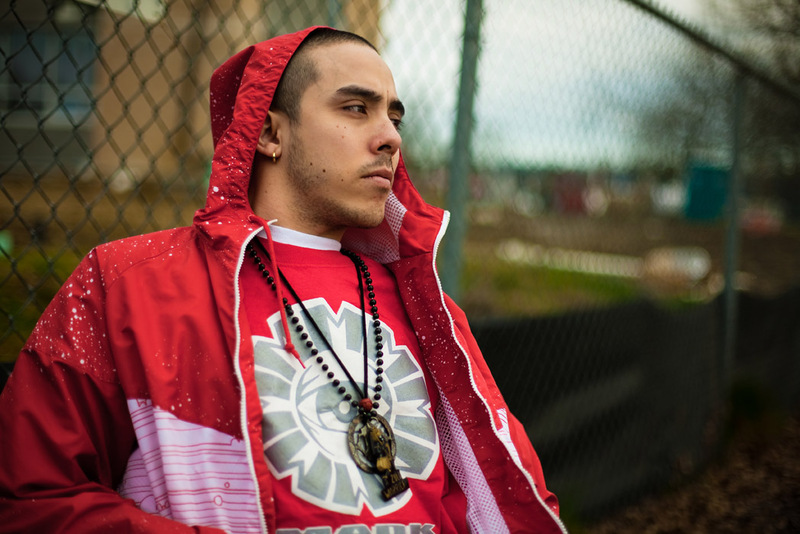 He aims to expand Hip Hop’s role in youth and community empowerment.